Leading the Apple (NASDAQ:AAPL) rumor mill today is a continuation of the screen recording fiasco. Today, we’ll look at that and other Apple Rumors for Wednesday. Screen Recording: AAPL is alerting apps that have screen recording that they need to make changes, reports MacRumors. The tech company is sending out emails to apps that do this informing them that they need to remove the feature from their apps. If they don’t go this route, then they have to make a clear display on the screen so users know when recording is taking place. Some companies only have a day to comply or face removal from the App Store. Stockholm Store: It looks like AAPL wants to sell its Stockholm property after losing a battle with the city, 9to5Mac notes. The property that AAPL bought was originally going to be the location of a new flagship store. However, the Stockholm City Council moved to block the construction of the store. It seems the tech company isn’t going to be able to setup shop at the location and is now wanting to sell it. Czech Republic: Recent rumors claim that Apple Pay is coming to the Czech Republic soon, reports AppleInsider. This rumor claims that the tech company will launch the payment service in the country on Feb. 19. Some customers are already able to use the feature, which is typical when a launch is about to occur. 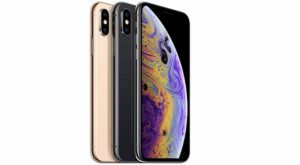 Article printed from InvestorPlace Media, https://investorplace.com/2019/02/apple-forcing-apps-to-stop-recording-screens/.